Once you find out what that is, everything becomes much easier. So let’s shift your focus. Don’t become obsessed with gaining more fans and followers. Focus on engaging with your current fans, creating compelling content, and sharing images that truly resonates with your fans and followers. 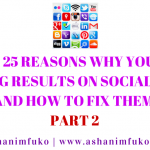 How do you know what’s resonating with your fans and followers on social media? It’s the stuff that gets the most likes, shares, re-tweets, and comments on your social media profiles. You need to post more of that content. Let go of what you think your fans want to see, and post more of what you know they love. The truth is, you can have thousands of fans and followers on social media, and STILL not be making any money. Unless you’ve gotten all of your fans and followers onto your e-mail subscriber list, they are not as useful to your brand as you might think. Remember, the success of your brand is contingent upon how many people buy your art, products, services, or attend your events, then tell a friend. It’s not based on how many fans and followers you have. You don’t need thousands of fans and followers to build your brand, and increase your personal income or business revenue. What you need is an active online community of individuals who are your “super-fans”, who engage with you daily on social media, and who are excited to spend their money on your products, services, art, or events. You don’t need thousands of fans & followers. You just need an engaged group of “super-fans”! 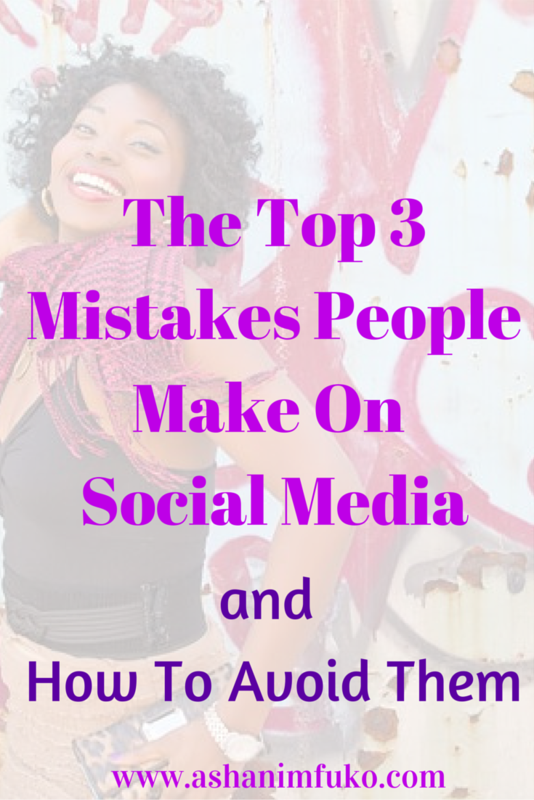 Mistake #2 Ignoring The Importance Of Building Your E-mail Subscriber List! If you’ve heard it once, you’ve heard it a million times, “Your Power Lies In Your List”! Why is that? Because you do not own your social media profiles. You and I are just renting space on Facebook, Twitter, Instagram, and everywhere else. If you’ve ever rented an apartment, you know that with renting, there are lots of limitations, and you don’t make the rules. But when you take your fans and followers from social media, and get them onto your e-mail subscriber list, you now have direct access to their e-mail inbox, no matter what happens on social media. Plus, since they choose to opt in to your list, and give you permission to contact them via e-mail, you already know that they have a vested interest in what you have to offer. That is powerful! #SocialMedia is great! But an e-mail subscriber list is even better! Create a powerful lead magnet. Offer a valuable, free incentive, to encourage people to join your e-mail list. 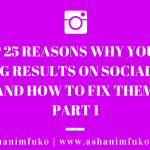 Be sure that there is a direct connection between your lead magnet, a pain point in your target market, the service you offer, and what you ultimately want your potential new customer to buy from you down the line. Place your e-mail subscriber sign-up box in a prominent place on your website. Don’t take this lightly. 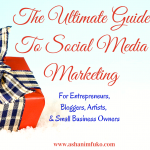 Your goal should always be to get your targeted fans and followers from social media, onto your e-mail list. That’s where the magic happens! Mistake #3 Trying To Do Everything And Be Everywhere! Videos, presentations, photos, quotes, blog posts, Facebook, Instagram, Pinterest, YouTube, Twitter, Linkedin, Google+, AHHHHHHH!!! Can you say social media overdrive?!! #SocialMedia Tip: You Don’t Have To Be On EVERY Social Network That Exists! 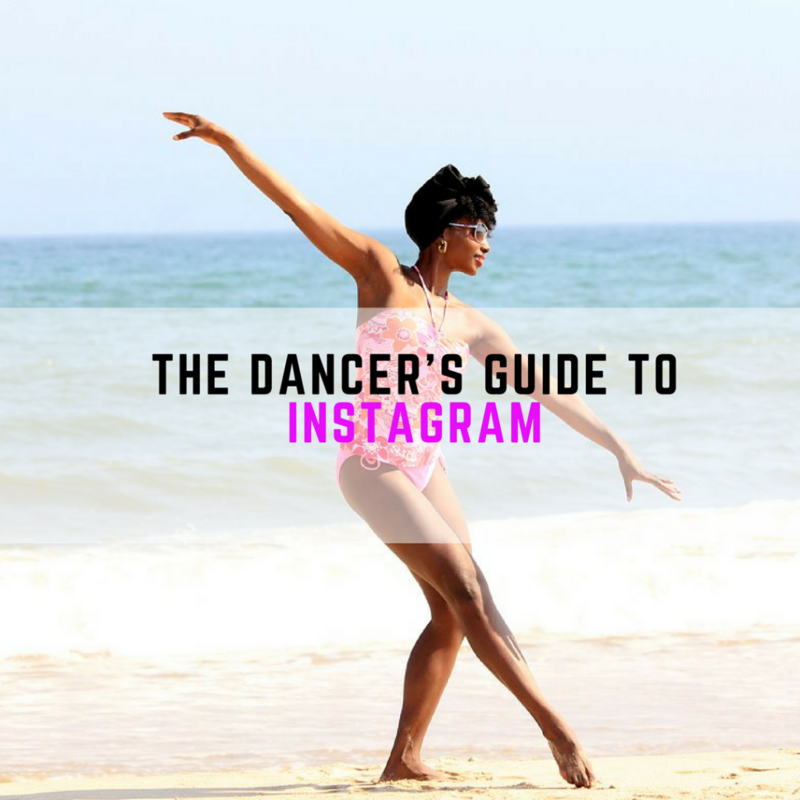 Pick your top 3 platforms, where you know for a fact your target audience is active. Then make sure that, based on your strategy and resources, you consistently create quality content on those platforms, on a daily basis. Share content that gets your fans and followers to engage with you, that builds trust, community, and gets them onto your e-mail list. Re-purpose your content, in as many ways as possible, to get the most for your time spent creating it. 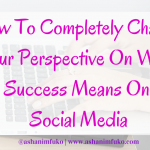 Take short quotes, statements, or tips from your blog posts, and create images to share on social media, using Canva. Use content from one of your blog posts, and turn it into a Slideshare presentation. Create a how-to video sharing helpful tips, or an interview with a well-known leader in your industry, and post it on your YouTube channel, and on your blog. 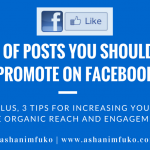 Then, a few days later, upload that same video directly to your Facebook fan page, to get the maximum views and visibility in the Facebook news feed. 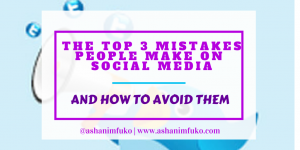 Avoid making these mistakes on social media, and start working smarter not harder, to get real results on social media this year. *Don’t become obsessed with how many fans and followers you have. *Don’t ignore the importance of building your e-mail subscriber list. *Don’t try to do everything and be everywhere! Be strategic. Be focused. Be intentional. Get results! Have you made any of these mistakes? What do you struggle with the most on social media? Share your thoughts with me in the comments below. I’d love to hear from you! 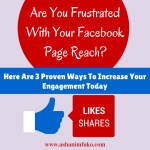 If you found this post helpful, be sure to like it, and share it on social media. Sharing is caring!